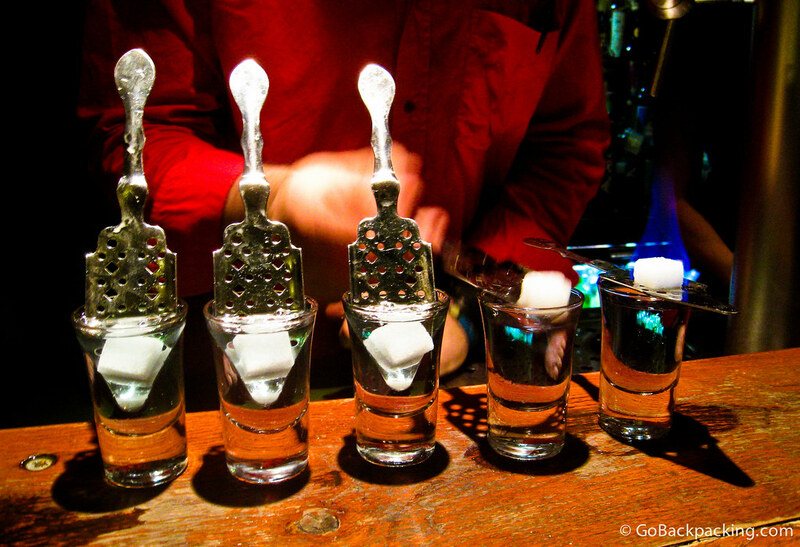 Spending Christmas away from home can be a real bummer, which is why I ended up drinking shots of absinthe with a bunch of guys from my hostel in Brussels one year. I'd tasted the green fairy a few times before, however the experience is a lot cooler when you get the full preparation from a bartender who knows what he's doing. Floris Bar? If so, definitely highly recommend, as they know how to prepare all of their different types of Absinthe properly, and take the time to ensure you get exactly what you are looking for! Holy sh*t I’d love to try one of those. The green fairy and I have never met like this before!